I cannot believe how hard it is to find a copy of this book at a decent price. I bought almost all of my Montgomery books back when I was teenager and they were still being published. Someone needs to bring these books back to the general public at a good price! At any rate, I'm glad I built my personal collection when I did! It's been several years since I've read the Pat books. From the looks of things, I'm not the only person spending time with her this year for this reading challenge. I have only vague recollections of my first reading. If you haven't yet met Pat Gardiner, we are introduced to her in Pat of Silver Bush when she is a ripe seven years of age. Her character is much like Anne's (and, in fact, all of Montgomery's heroines) in that she loves being outdoors, loves nature and all things which are beautiful. I don't think Montgomery could help but make her characters love beauty as she herself clearly did. "She'll love folks . . . and things . . . better than most . . . and it will give her great delight. But they'll hurt her more too. 'Tis the way of the fairy gift and ye have to take the bad wid the good." Pat is most especially fond of her home - Silver Bush. "Oh, I've got such a lovely home," breathed Pat, clasping her hands. "It's such a friendly house. Nobody . . . nobody has such a lovely home. I'd just like to hug it." Pat's love of her home is the running theme of both of the Pat books. She is rather obsessed with her family home, declaring throughout the books that she will never marry because then she would have to leave Silver Bush. She thinks the world of the house and all of the people in it and latches onto it in a way that I'm sure not too many of us could properly understand. There are fun characters in this book. Specifically, there is Judy Plum. Judy came to work for the Gardiner family when Pat's father was bringing his bride home. She is more active in the home than Mrs. Gardiner is, taking care of the laundry, the chickens, the kitchen, general upkeep of the home and the almost exclusive raising of young Pat, who is her particular favorite. Judy hails from Ireland and speaks with a thick Irish brogue. Reading her portions of the conversation can take a little bit of getting use to as Montgomery writes out what she is saying in a phonetically correct way. Eventually though you catch on, her conversation flows, and you can hear her voice in your head. I love her character! She is forever telling the kids tall tales and feeding them "leedle bites" of food before bedtime. Secondly, there is Jingle - Pat's boyhood chum. His proper name is Hilary Gordon but he goes by Jingle as that is what his mother called him as a baby. Hilary is being raised by an aunt and uncle who are rather stingy with their affections. He finds acceptance and friendship in the Gardiner family and is more or less Pat's best friend. All that to explain, I "get" Pat's love of her house -- her home. She loves its nooks and crannies. She loves the personal touches and its unique design. She loves where it is situated and how it looks alive when set against a night sky, when all of the windows are lit up. Just like I love driving up to the top of my driveway at night and seeing the windows of my home lit up. It's gorgeous and I am happy to live here. In reading Pat, I can read along and sympathize with her feelings. 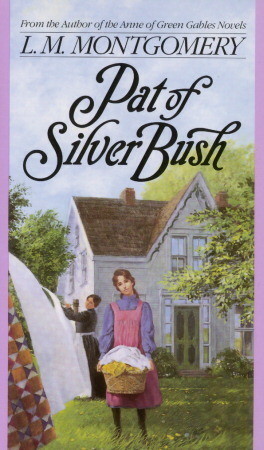 Anne loves beauty too, and she loves Green Gables, but not as passionately as Pat loves Silver Bush. Anne values family more and I appreciate that, separately. Pat stands out by loving things - a thing, specifically. While that attitude has its fair share of easy-to-identify problems, I also think it is a good thing to love home. Your four walls - and my four walls - aren't just walls. 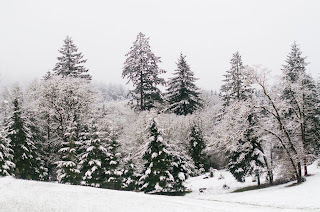 They are places where we build our own family histories - making mountains of memories. We laugh together and we cry with one another. We have our good days and our bad days, true, but we have them together and that's what makes it so wonderful. Many homes are broken and I acknowledge that. However, I'm specifically address homes that are healthy and thriving at this time. As Jingle demonstrates, homes full of warmth and family and laughter are attractive and will draw hurting souls to them. And it is a tremendous blessing to live in a home - and create a home - that is healthy and alive and breeds love and good fellowship. I'll end with this song, which has long been a favorite of mine. I heard it first as a teen and I've listened to it thousands of times. It has always filled me with a feeling of home and belonging. I love it. If there were ever a theme for Pat of Silver Bush this song is it! Give a listen? In summary: yes, Pat may be a little overly dramatic about her lovely home. But I get it. And so I enjoyed this re-read immensely! I like Pat a lot, too, though I confess I think her love of her home is just a bit over-the-top (I think this comes through to me more in Mistress Pat). Of course, if I had a beautiful home like yours, I might not feel this way. ;-). Judy Plum is a hoot, isn't she? I love her, as I do most of LMM's surrogate mothers! 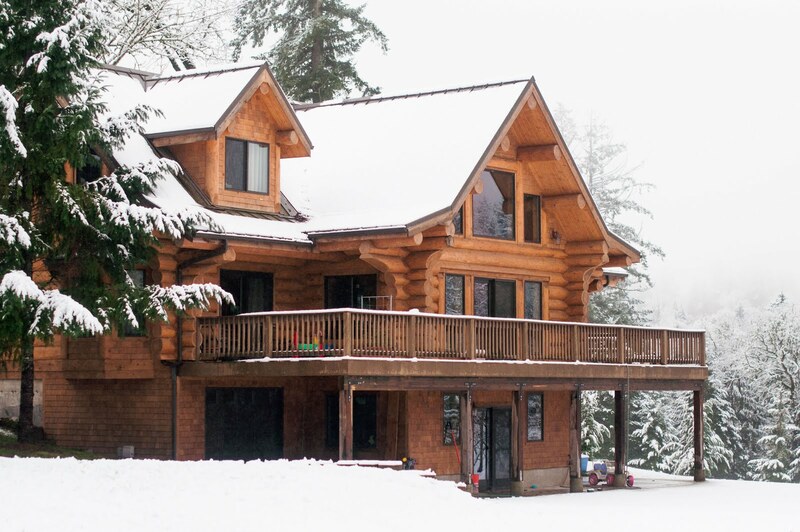 Did I know you lived in a log home? If I did, I had forgotten. There was a time we really wanted one, but have changed our minds over the years. But I still think they look cool: yours is gorgeous. I haven't read either of the Pat books and hope to get to them one day. I do like houses with character, too, rather than carbon copy blueprints. Our last house was one I didn't like for a number of reasons, but realized as we were moving that it did have warmth and character and love because of the people who lived in it, not necessarily because of its own merit. But when you have a warm, loving family and a cozy, sweet house together, well, that's a great thing. But then I think, too, of people like the Goforths, missionaries to China several years ago, who lost all of their possessions not once but I think 4 times in their marriage (I think fire one time, riot another, and I can't remember the other circumstances). Her husband's attitude was, "They're just things, dear," and brought up the verse about taking joyfully the spoiling of your goods, but she, of course, had a harder time with it. I would, too, yet have to acknowledge that our houses are one of those things that we can't take with us. As I was reading your post, I thought of the Crosby, Stills, Nash, and Young song, "Our house is a very, very, very fine house." I loved that as a teen-ager (a bit before your time...) and just heard it in the grocery store recently and loved it all over again. Your house is beautiful, Carrie! Maybe someday I'll get to see it . . . =) Our house is 103 years old, and we love the gorgeous woodwork and other unique details. Blast from the past with that song--hadn't heard it in AGES! I'm not very far into the book yet, but BOTH of those quotes stuck out to me, too. I may still include them in my review...we'll see. I am really enjoying the book, and decided to read your review knowing you are good about warning of spoilers. Home...it really is where the heart is! And to make it a nice, enjoyable, even fun home is even better! 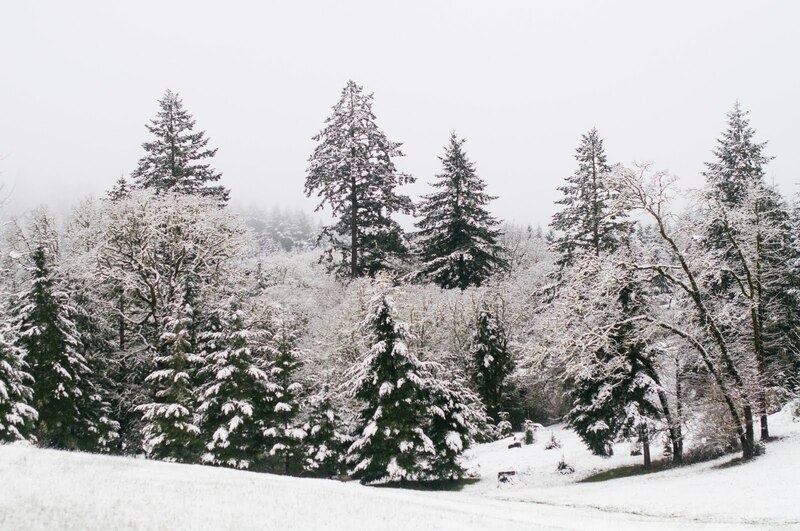 Love that snowy photo...and your view! I dream of having that home, the one I am connected to, the one we will grow old in. I know what it looks like in my heart and I am eager to go there and rest my gypsy feet and plant some roots!! Every time I read a review of any of Montgomery's works, it sounds so lovely and peaceful that I feel like I MUST pick it up immediately. This one is no exception. I haven't met Pat yet, but after that rave, I think I can't help but make her acquaintance this year. I haven't read any of these. I'm afraid I'm not nearly the Montgomery fan you are. And I will repeat, your house is lovely! Maybe in the next post you can take us on a tour of the inside. It is so good to find another Pat fan! I have to confess I may like her a little more than I like Anne, though her love for her home sometimes seems to border on the unhealthy. Her friendship with Hilary is especially charming, though. I love how she helps him get through the meeting with his mother and simply how quick they both are to recognize each other's needs and respond to them--but always in a sensitive manner. But my favorite character of all may just be McGinty. What a lovely reflection about Pat--and about your home too!